You'll be £4.99 closer to your next £10.00 credit when you purchase Waterloo. What's this? The story of the Battle of Waterloo - of the ultimate defeat of Napoleon and the French, the triumph of Wellington, Blücher and their allied armies - is most often told from the viewpoint of the victors, not the vanquished. Even after 200 years of intensive research and the publication of hundreds of books and articles on the battle, the French perspective and many of the primary French sources are under-represented in the written record. So it is high time this weakness in the literature – and in our understanding of the battle – was addressed, and that is the purpose of Andrew Field’s thought-provoking new study. He has tracked down over ninety first-hand French accounts, many of which have never been previously published in English, and he has combined them with accounts from the other participants in order to create a graphic new narrative of one of the world’s decisive battles. Virtually all of the hitherto unpublished testimony provides fascinating new detail on the battle and many of the accounts are vivid, revealing and exciting. This book is a most welcome addition to any English bookshelf about the Battle of Waterloo on 18 June 1815, for on reading it one now realises how long the gap has remained unfilled. By using extensive extracts and grouping the material in a series of chronological chapters hour by hour through the day, Colonel Field has provided the reader with a gripping first-hand narrative of the fighting. There are some incidents where French accounts may seem strange to us, to need fleshing out, or are inadequate, or silent; but here Andrew Field has turned to allied sources, using them as a sort of mirror to shed light on the events, and this works remarkably well. Highly recommended. 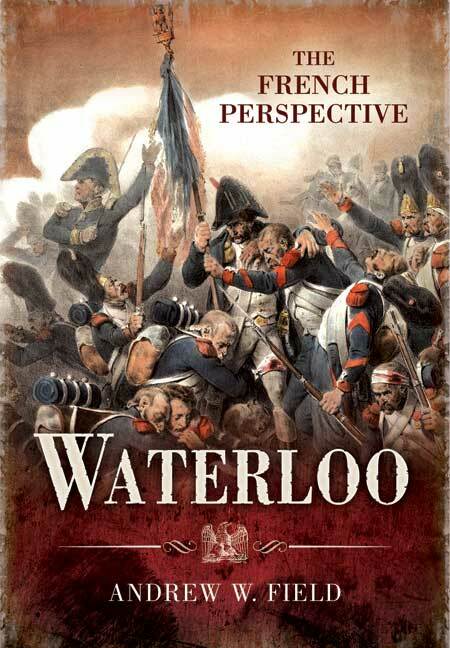 It was about time a new book on the "Jonny Francois" view of Waterloo was published. I have a number of titles on the Napoleonic wars but this is very impressive. It is obviously the result of a labour of love, involving meticulous research and a great deal of effort by Andrew Field. Too many previous offerings on the subject fail to provide the French perspective and do not deal with the sorts of issues that only a military author can. This is magnificent and highly recommended, though primarily for the Waterloo enthusiast.